This is your account page. If you have not already completed a profile and submitted your resume, please do that now if you want to be registered in our candidate database. REMINDER: Your User Name is the email address you registered with. Don't have a Login? It's FREE to Register with Bentley Price Associates. Bentley Price Associates, Inc uses SSL security protocol to protect transmitted personal data from unauthorized access. If you are having an issue with Registration, Submitting Your Profile, Editing Your Profile, or Changing Your Password, we can help you. Our Support Desk is open Monday-Friday (except legal holidays) from 8AM to 4PM (Pacific Time). To send us a support question, please visit our Support Page. 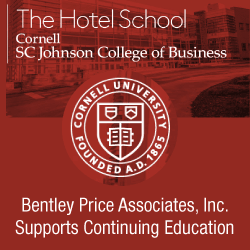 Among professional recruiters in the Hospitality and Gaming industries, Bentley Price Associates, Inc. has been a leader in both search and placement. We have placed candidates in hundreds of key positions and helped executives make significant career moves. Contact us now to discuss your needs. © 2016-2019 Bentley Price Associates, Inc. All rights reserved. The Bentley Price Associates logo mark and name and all original material in this publication is property of the copyright holder. All trademarks, trade names, and brands are the property of their respective copyright holders. This publication is presented for informational purposes only and has no commercial value or intent and in no way implies any endorsement by any third parties whatsoever. Any omission(s) of photo credits is strictly unintentional.